Atomic Bomb Plant Process Area. 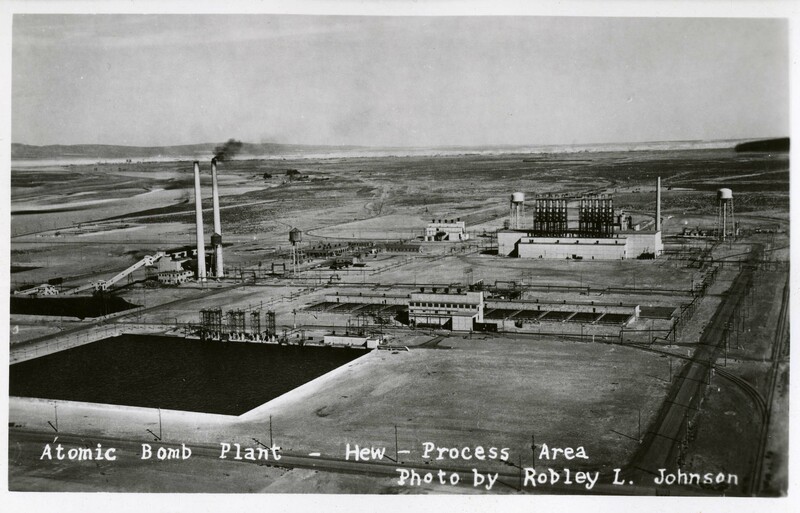 Text on front of image reads: ""Atomic Comb Plant - Hew - Process Area; Photo by Robley L. Johnson""." 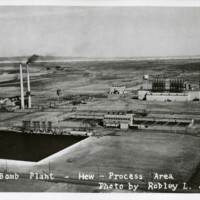 Robley L. Johnson , “Atomic Bomb Plant - Hew - Process Area ,” Hanford History Project, accessed April 21, 2019, http://hanfordhistory.com/items/show/1027.